Panoramic tour - Kuala Lumpur City Tour, Enjoy the Genting Highland with one way cable. Night Safari Without Dinner (seat In Coach) A wild adventure awaits you as you visit the fascinating world of nocturnal creatures at the world's first wildlife park built specifically for night viewing. This premier night zoo is set in 40 hectares of secondary jungle, enhanced by subtle moonglow lighting and houses over 900 animals of 135 exotic species in eight zones recreated to simulate various geographic zones. Experience the thrill of exploring a tropical jungle at night by tram or by foot. The mystery and drama of the tropical jungle comes alive after dusk, and you'll experience a thrilling sense of roaming through the jungle as you travel through the grounds by open tram. You'll pass a large reservoir and weave through habitats specially designed to replicate the natural environment, from the Himalayan foothills to the Southeast Asian rainforest and Indian subcontinent. Panoramic city tour of Kuala Lumper's. Day excursion to Genting Highlands with one way Cable car. A scintillating, fun filled holiday extravaganza awaits you! 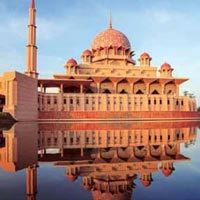 With an itinerary that takes you to Kuala Lumpur and Singapore, this holiday brings to you diverse experiences. Theme parks, city tours, cable car rides, natural wonders, cultural extravaganzas and culinary delights are just some of the experiences that await you. With such varied experiences, you can truly celebrate Asia on this vacation. 2 Child without bed - Is an individual under 12 years of age, sharing the room with 2 Full Paying adults and without a bed / cot. The right to vary, amends, alters or withdraws any particular itinerary, departure or excursion rests entirely with the company. Due to demand of a particular airline the in / out points may change. Services however, will remain unchanged. Star Cruises will be collecting a mandatory SGD 300 cash deposit/credit card pre-authorisation to add convenience for bill settlement during the cruise check-out process onboard SuperStar Gemini. Subject to availability of flights passengers can book their tour directly from their city by paying an additional amount. Please check with respective sales officer at the time of booking. Super Star Gemini Cruise -- Ex Singapore (03 Days / 02 Nights) Gratuity Cost for cruise is not inlcuded in the package cost. 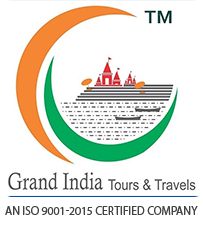 Grand Imperial Hotel Or SimilarOptional & Add-On tours unless mentioned otherwise. Any increase in the airfare / taxes / routing charged by the airlines for tickets (presently calculated on 01 Jan 2015). Govt. Service Tax 4.50% on gross bill effective 1st June 2016. Airline Reservation Fee (ARF) charges of INR 2500 per person will apply for any deviation to your airline ticket. Cost of any private transfers taken to move from one place to another instead of coach as per tour itinerary. Medical test and Premium cost of your Travel tag / Assist with Insurance valid for passengers above 70 years of age. Voyage of Asia" tour. On arrival in Kuala Lumpur, meet our Cox and Kings representative and proceed to the orientation tour of Putrajaya -federal administrative capital of Malaysia, View Putra Lake, Putra Bridge, Seri Perdana Complex. Continue to Kuala Lumpur and check in to the hotel (check in after 1400 Hrs). KL - as it is popularly called is a bustling city with a skyline endorsed with skyscrapers, domes and minarets. Today, after breakfast, Proceed for a guided panoramic city tour. 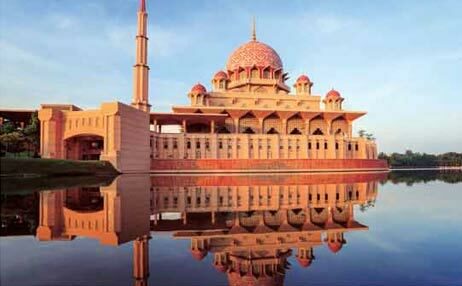 See the King's Palace, National Monument, National Mosque, Jamek Mosque, Merdeka Square and National Museum. Admire Malaysia's most renowned structure, the world famous Petronas Twin Towers and enjoy a photo stop. Meals : Breakfast at the hotel restaurant, Lunch and Dinner at an Indian restaurant. Today morning, proceed to Batu caves. The caves are one of the most popular limestone caves and said to be around 400 million years old. Later proceed to Genting Highlands, Malaysia's premier hill resort, With cable car ride (one way). Today, we proceed to Singapore by coach. (approx 6 hours). Enroute Lunch. Transfer to Cruise Centre. Embark onto Superstar Gemini cruise. You could entertain yourself with live music at the bandstand, or dance away the night or listen to live music at Galaxy Of The Stars on the cruise. Meals : Breakfast at the hotel restaurant, Lunch at an Indian restaurant, Dinner on board the cruise. Day free to view the vast sea and ships around, or explore various activities on board the cruise like swimming, fitness centre, library, karaoke lounge etc. Meals : Breakfast, Lunch and Dinner on board the cruise. Disembark from the cruise. and transfer to the hotel. Rest of the day is at leisure to explore this wonderful and majestic city. Meals : Breakfast and Lunch on board the cruise, Dinner at an Indian restaurant. Today proceed on a guided panoramic city tour driving past the famous landmarks of Singapore- City Hall, Parliament House, Raffles Hotel. Take a photo stop at Singapore's famous symbol - the Merlion and the Esplanade. Onto Mount Faber. Proceed by Cable Car Ride to Sentosa Island, where "Fun happens all the time". Enjoy the Skyline Luge, (once) a fun-filled gravity ride that's safe for all ages. Then board the Skyride Chairlift for a bird's-eye view of Sentosa and Singapore skyline together. Visit Underwater World, home to more than 2500 marine animals, each one as fascinating as the next. At Dolphin Lagoon, watch pink dolphins and Fur Seals in action with their playful activities. Watch "Meet the Dolphins and Fur Seal LIVE!" Wrap up the evening with the mesmerizing night show by the sea - "Wings of Time". Discover an awe-inspiring display of water, laser and fire effects, weaved together by a tale of friendship and courage that will leave you spell bound. " You can opt for 4D Adventureland, either Extreme Log Ride or Journey2: The Mysterious Island. You can also opt for Madam Tussauds Wax Museum, including a Boat Ride, and take memorable photos with favourite celebrities. Or opt for Butterfly Park and Insect Kingdom. Today day at leisure or opt for Jurong Bird Park, and watch different birds, and see the birds performing at Shows too. Or opt for Night Safari, with Tram Ride, and watch animals in natural habitat! Or Visit Universal Studios and transform yourself to world of Movie making, cutting-edge rides, and shows based on popular blockbuster films and television series. Meals : Breakfast at the hotel restaurant, Dinner at an Indian restaurant. Good times need never end !! As you get ready for the airport and your flight back home. Any extra expenses incurred for route change, airline change/ date change / accommodation due to any unforeseen circumstances, forced majuire instances, natural calamities, political disturbances, strikes etc. A wild adventure awaits you as you visit the fascinating world of nocturnal creatures at the world's first wildlife park built specifically for night viewing. This premier night zoo is set in 40 hectares of secondary jungle, enhanced by subtle moonglow lighting and houses over 900 animals of 135 exotic species in eight zones recreated to simulate various geographic zones. Experience the thrill of exploring a tropical jungle at night by tram or by foot. The mystery and drama of the tropical jungle comes alive after dusk, and you'll experience a thrilling sense of roaming through the jungle as you travel through the grounds by open tram. You'll pass a large reservoir and weave through habitats specially designed to replicate the natural environment, from the Himalayan foothills to the Southeast Asian rainforest and Indian subcontinent.